Held at Ka`ulaheanuiokamoku, admission by ticket only. Please note that a ticket is required for children and infants. When the doors open, entry is through the rear makai door of the gym closest to the wrestling room. Later the front doors will be available for entry. Parking: cars will be directed to parking areas by Safety/Security Staff. Please plan to arrive early and allow for traffic and the time necessary to park and walk to the event. Access assistance shuttle is available ONLY for those NEEDING assistance from the handicap parking lot by the stadium. Access Available (Handicapped): Please display the Handicapped Placard to allow the Safety/Security Staff to direct you to the designated parking space. Shuttle will be available for handicapped visitors and kupuna from the lower stadium parking lot to the stadium ticket booth. Photography: Nagamine Photography, Inc. will take a photo of each student receiving their diploma from the High School Principal. 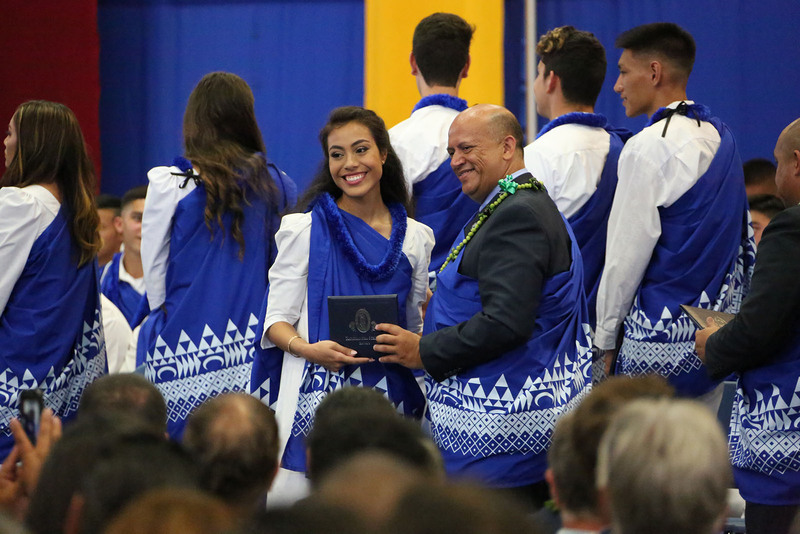 About two weeks after the event, Nagamine will mail proofs to families to facilitate orders of the student receiving diploma and class photo. For questions, please call 354-8283. Video: Hawai'i Video Memories will film the event and can be ordered online at www.hawaiivideomemories.com. For questions, please call 534-8283. 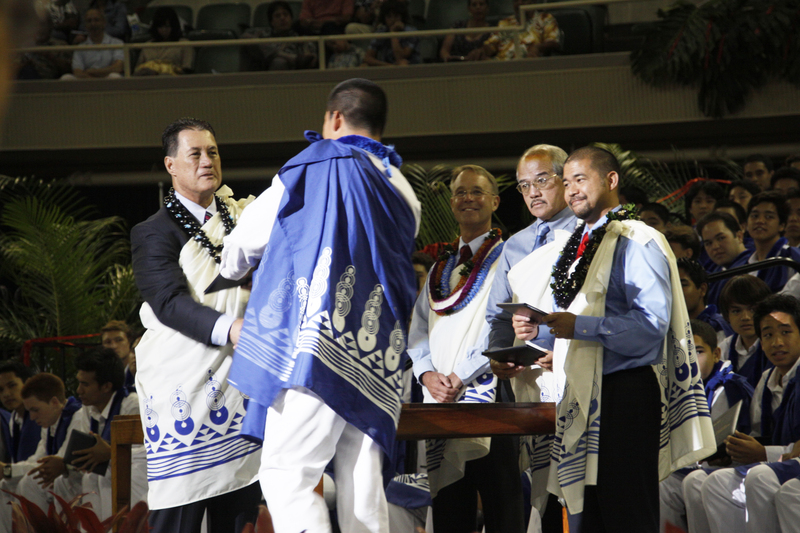 Lei giving: Students will have an opportunity immediately following the ceremony to give each other makana. E kala mai, parents and family must give their makana on the field. For family members and friends, all graduates will be escorted to the field fronting the gymnasium after the ceremony. The letters of the alphabet will be staged around the field to facilitate the location of graduating seniors. Kamehameha Leadership honors and celebrates our kūpuna at the 2019 Kūpuna Pāʻina. Check in begins at 9:00am at Heritage Center with ʻāina kakahiaka (continental breakfast), followed by ʻaina awakea (lunch) at Ululani Hale at 10:30am. 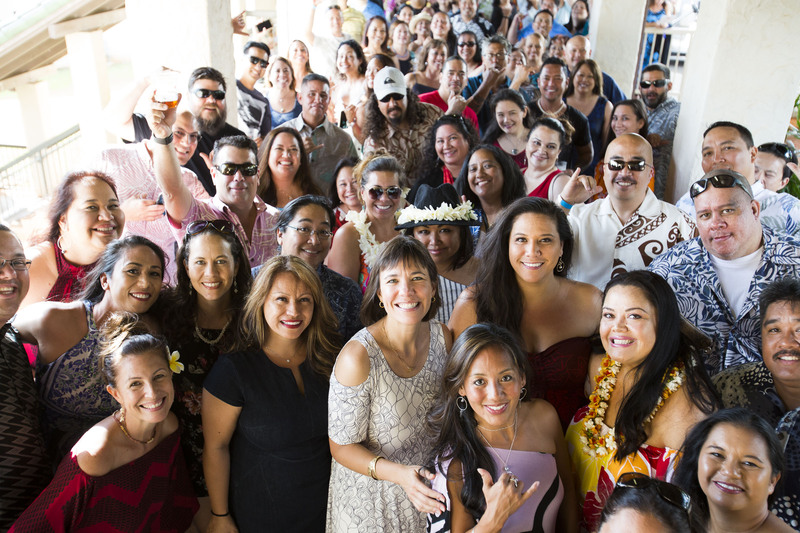 Enjoy mele and mea ʻai while reconnecting, rekindling friendships and reminiscing about shared experiences with schoolmates from the decades of the 30's, 40's, 50's and 60's. For more information, please contact Alumni Relations at 808-534-8283 or alumni@ksbe.edu.